We are inviting you as a self-advocate to share your story with us about your employment experiences. We also welcome submissions from parents who wish share their child’s employment experiences. We will work with you to select a topic and send you specific questions to use as a basis for writing your story. 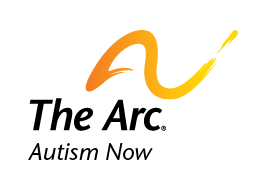 The story should be about 1 to 1 ½ pages long, double spaced, and sent via e-mail to us here at the Autism NOW Center. Please note that this is a volunteer opportunity and writers will not be compensated for their work. Please let us know if you or someone you know is interested in this opportunity as we are looking to share as many stories as we can through this toolkit. If we accept your story, we will work with you to edit it appropriately to fit our needs before publishing. We will not use your name, any real names of people, or places of employment or employers’ names in the story. If you have any questions or want more information about this opportunity, please e-mail me at [email protected] . Date posted: December 6, 2013. Content created by The Autism NOW Center. Last updated: March 21, 2018.